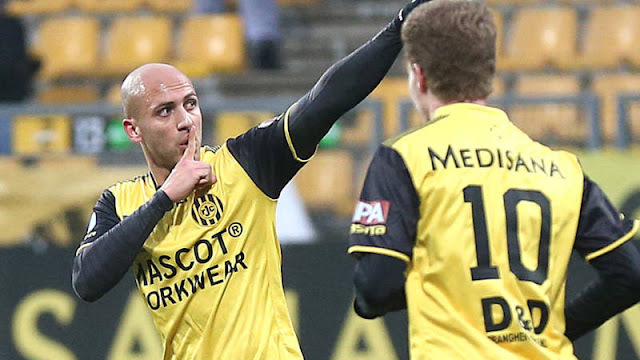 The most recent transfer in a flurry of moves involving Palestinian players comes from the old continent. 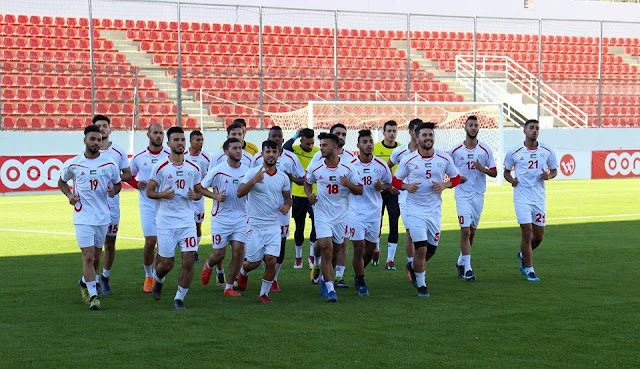 Mahmoud Eid will become the only active national team player playing in the first tier of a European league. He is the eighth national team player to be involved in a transfer to a foreign league in 2016. Eid whose raw talent has been touted since turning pro in 2012 with Vasalunds has steadily developed over the last five years. It hasn't been meteoric, but rather steady improvement, Hammarby's youth side gave him his start and then it was off to Vasalunds where he was an impact sub (19/31 appearances came off the bench). He became an unquestioned started for Nyköping when he first signed for them halfway through the 2013 season (47/48 appearances were from the start) and his last season was a case study in consistency as he racked up goals and assists with ease. Atvidabergs FF was the next destination and despite his lack of Superettan experience it was clear from the first match day that Eid would be the focal point of their attack. Eight goals in the first 14 games to start the season made him the highest scorer from open play in the league. 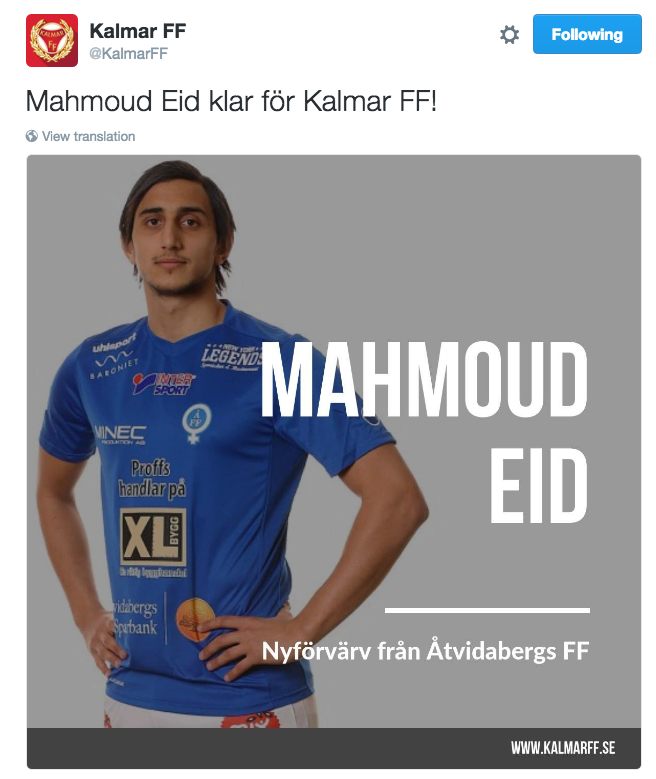 Another jump in level awaits Mahmoud Eid in the Allsvenskan but he should be able to force his way into the starting lineup given his versatility. Kalmar FF have committed to build their foreseeable future around Eid- tying him up for the next three and a half seasons. 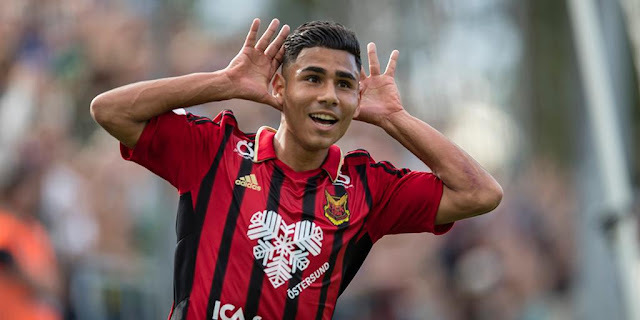 Kalmar FF sporting director Thomas Andersson-Borstam has confirmed that the striker could feature as early as Sunday against league leaders Malmö FF.